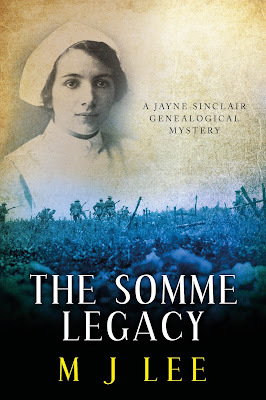 Today I am taking part in the virtual book tour for The Somme Legacy by M J Lee, hosted by Neverland Blog Tours. This is the first book I’ve read in the Jayne Sinclair series and I immediately liked Jayne. She is a no-nonsense woman, maybe lacking a little emotionally, but perfect for her investigator role and with a determination never to give up. This story is set in parts; some take place in the present day, where Jayne has a tight time deadline to discover the truth about Mark Russell’s family history and some take us back to the war years and David and Rose’s romance. This meant there was a lot of to-ing and fro-ing, which sometimes made it difficult to follow, however I liked that these flashbacks often made me think I was one step ahead of Jayne and the Russell family. David and Rose’s story is a wartime romance between two people from very different backgrounds, and with a difficult family situation, there is a lot of sadness too. Rose was an extraordinary woman; strong and feisty who I enjoyed reading about. My favourite parts of this book were definitely Jayne’s discoveries of Rose’s early life. Some of the other characters however were horrid. They were supposed to be, I know, but for me their actions, lies and spite went too far. From the author’s initial description I had worked out the villain Herbert Small was an odious weasel, so I didn’t need to read about his childhood torture of cats, I certainly didn’t need to read about it twice, especially as in my opinion it didn’t add anything to the storyline. I did enjoy following Jayne and the steps she took in the archive records, and I’m sure anyone with an interest in genealogy will enjoy it too. This is an interesting historical novel, with the twist of a mystery to be solved and I really wanted Jayne to succeed, just to prove to the doubters that Rose was so much more than a batty old dear. 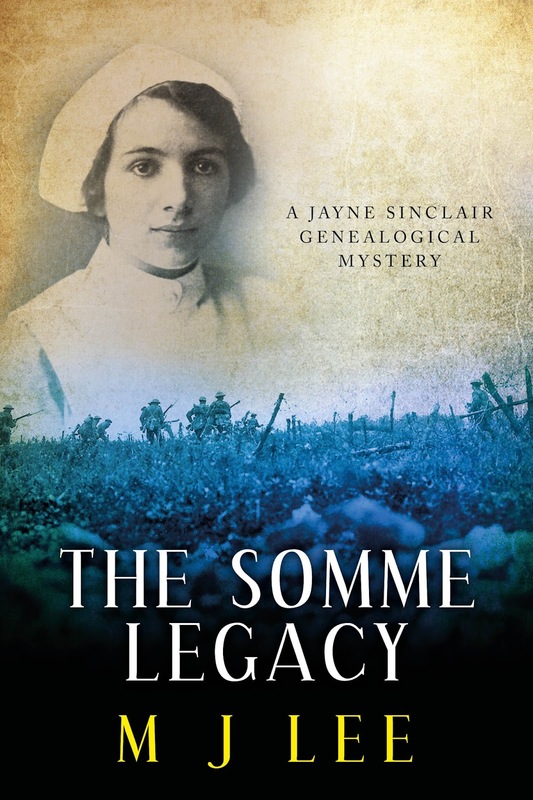 The Somme Legacy is available in paperback and ebook format and can be found on Goodreads here. Links to Amazon are bellow. Martin has spent most of his adult life writing in one form or another. As a University researcher in history, he wrote pages of notes on reams of obscure topics. As a social worker with Vietnamese refugees, he wrote memoranda. 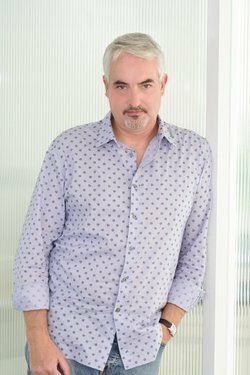 And, as the creative director of an advertising agency, he has written print and press ads, TV commercials, short films and innumerable backs of cornflake packets and hotel websites. He has spent 25 years of his life working outside the North of England – in London, Hong Kong, Taipei, Singapore, Bangkok and Shanghai, winning awards from Cannes, One Show, D&AD, New York and London Festivals, and the United Nations. Whilst working in Shanghai, he loved walking through the old quarter of that amazing city, developing the idea behind a series of crime novels featuring Inspector Pyotr Danilov, set in the 1920s and 30s. When he’s not writing, he splits his time between the UK and Asia, taking pleasure in playing with his daughter, practicing downhill ironing, single-handedly solving the problem of the French wine lake and wishing he were George Clooney. You can follow Martin on Twitter and his view his website here.